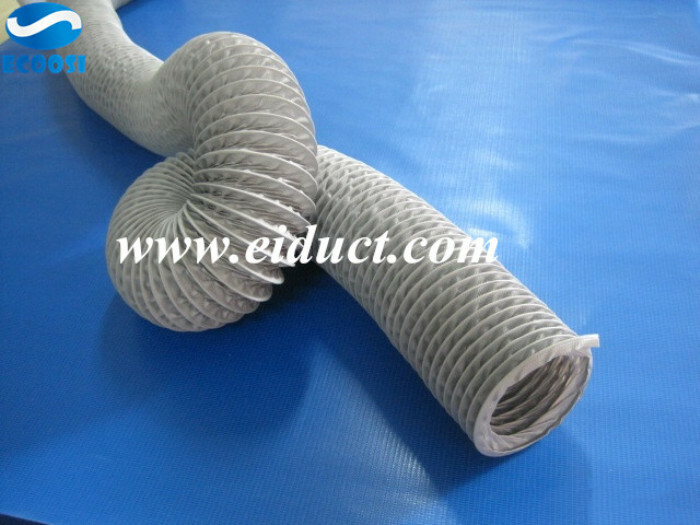 How do you measure the PU flexible ducting hose diameter? 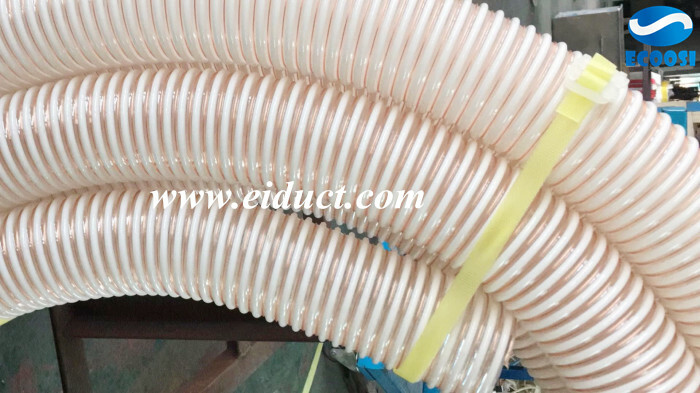 All PU flexible ducting hoses sizes are measured by their diameter because diameter is a very important unit of measure for flexible hose sizing. 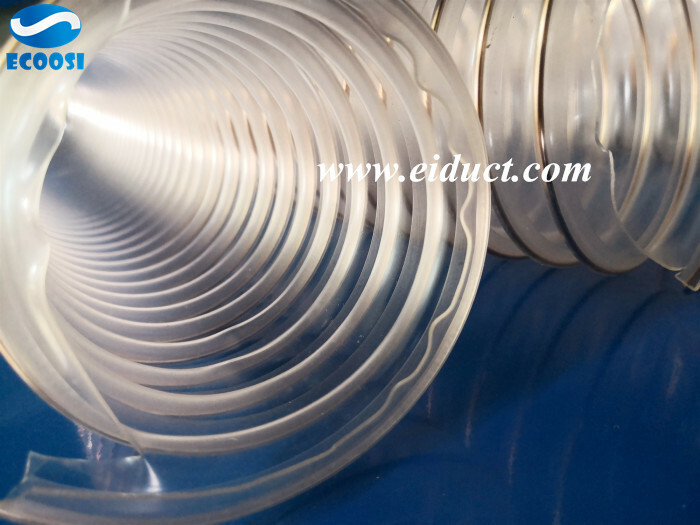 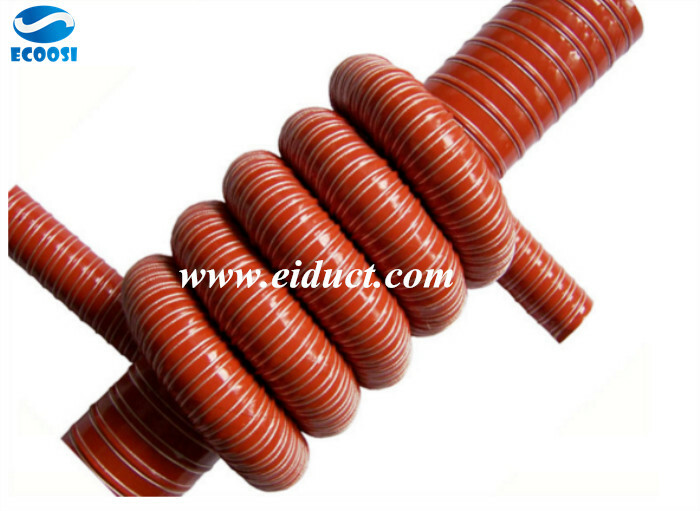 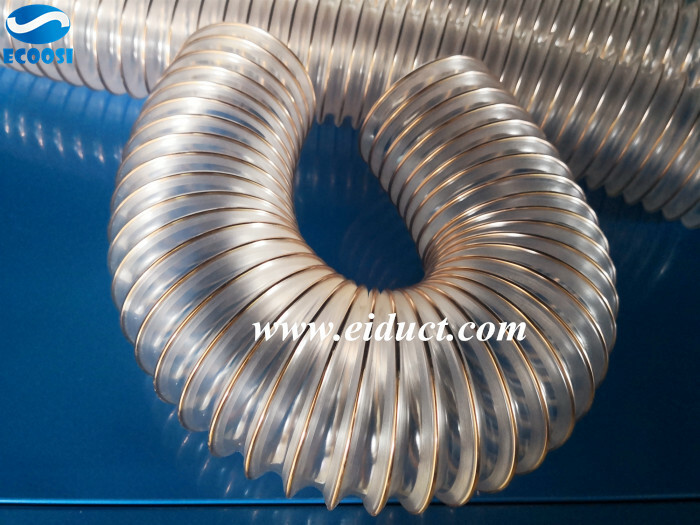 PU Flexible ducting are normally sized according to the inner diameter and are usually labeled as ID. 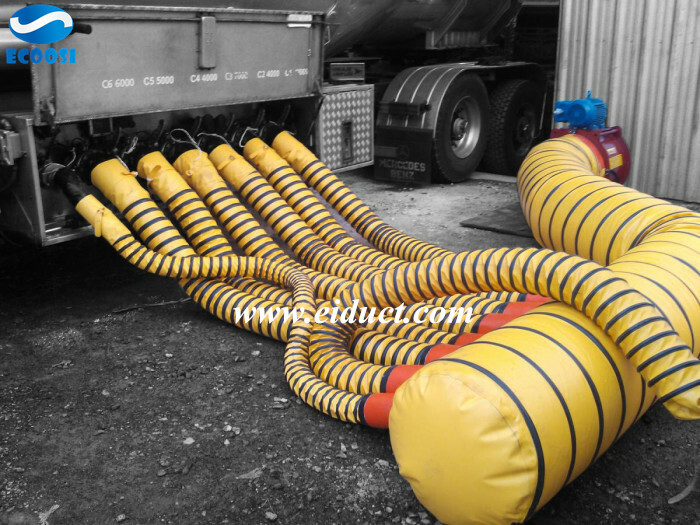 When a project requires a portable flexible ducting ventilation hose that can be moved frequently between places, it offers a unique set of demands that requires a portable flexible ducting hose. 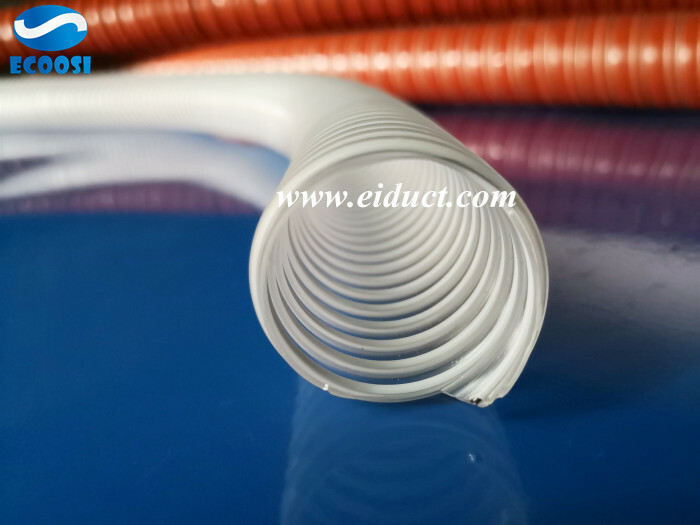 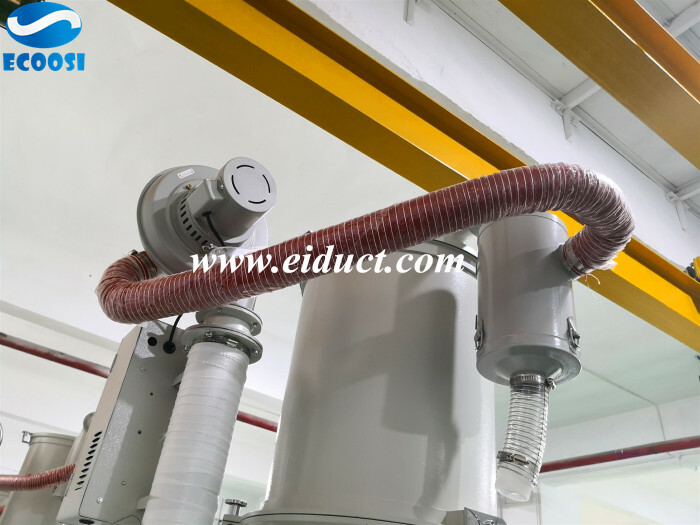 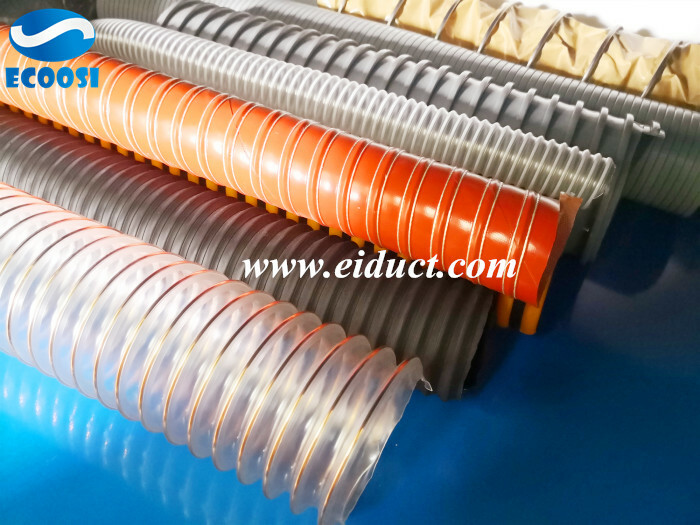 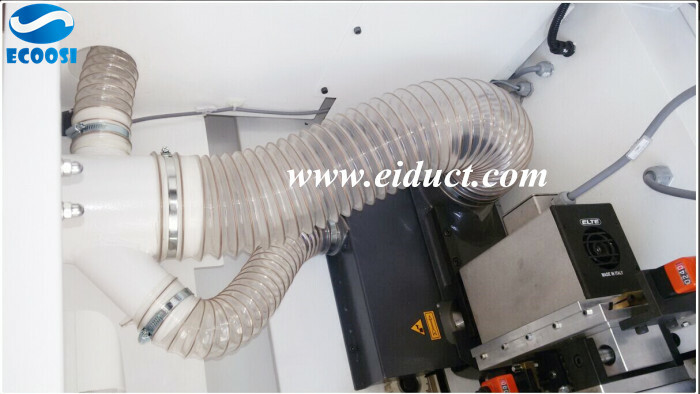 HVAC Air Duct Ventilation Hose From Ecoosi Industrial Co., Ltd.
Industrial Flexible Ventilation Ducting Hose From Ecoosi Industrial Co., Ltd.
Why Ecoosi hot air double layer silicone coated fiberglass duct hose Is ideal for pellet drying?